The Apple TV set-top box has enjoyed somewhat of a re-birth since was overhauled as a cheaper, sleeker, streaming-only device late last year. Now that it seems to be resonating with the tech buying public who have now snapped up 2 million Apple TV boxes, according to recent a survey of Apple suppliers. Now, let's get a few more apps on the UK model. How about LOVEFiLM and iPlayer for starters. 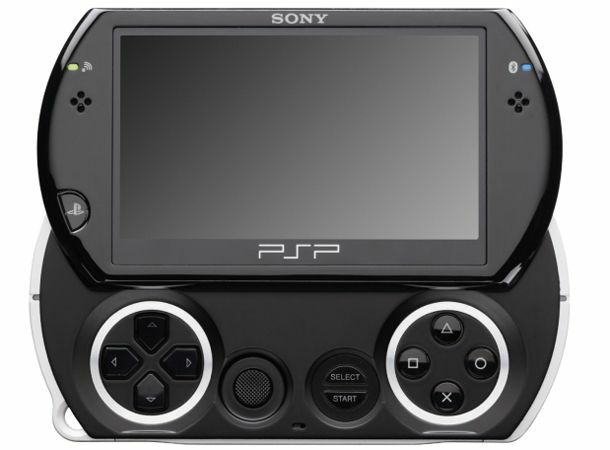 Sony's PSPgo console arrived on the scene full of promise after ditching the UMD cartridges, but the streamlined device fell flat on its face and Sony has now discontinued the PSPgo on UK shores. Once the current supplies are sold they won't be replenished with the company gearing up for the Next Generation Portable launch planed for later this year. The Apple iPad and other tablets are too expensive to catch-on with the general public according to a new poll from YouGov. The iPad may have been snapped up by Apple fans, but the survey concludes that there'll need to be an iPad price cut to around £250 for it to go fully mainstream. Intel doesn't know the meaning of the word recession, apparently, after posting a monumental net income of $3.2 billion for the first quarter of 2011. That's pure profit and that's a company record. Apple announces its Q1 results tomorrow and while success is guaranteed, it'll be nothing like this. Fans of the Terminator film franchise hold this day in infamy. After John and Sarah Connor postponed the planned August 29th 1997 nuclear apocalypse known as Judgement Day in T2, it took until April 19th 2011 for defense computer Skynet to become self-aware and reduce the majority of the human race to a pile of steaming rubble. If you're sci-fi fans like us, you spent the entirety of Tuesday looking skywards fearing the incoming Armageddon, but if you're reading this on Wednesday morning it looks like we're ok. Thanks, Arnie. News@8: Tuesday was a bumper day of tech news, so if you missed out, our News@8 round-up will bring you up to speed on Angry Birds getting NFC tech with Nokia, rumblings that a new version of iOS will appear on the White iPhone 4 and the latest rumours on the iPad 3.